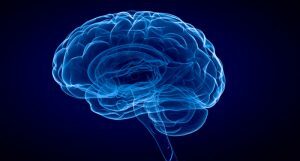 Why do brain-based therapy? Simply speaking because the brain controls the entire body. The brain controls every cell, every tissue and every organs function. It does this primarily through autonomic nervous system composed of the sympathetic and parasympathetic nervous system. Therefore, to help you return you to a healing state it is vital to work with the brain. The brain to promote healing when it is in a balanced state, with neither the sympathetic nor the parasympathetic nervous system dominating. You may have heard of the sympathetic nervous system and its connection to the stress response. The qualities of the sympathetic nervous system are more activating, stimulating and even stressful on the body. The sympathetic nervous systems (SNS) primary goal is your survival and it elicits the "fight or flight" stress response. This sympathetic response can be triggered by physical and emotional threats. When activated your entire body is readied to either 'fight for your life or run for your life.' In modern life neither one is usually an appropriate choice, we cannot get out of our car and run from a traffic jam or punch our boss. This sympathetic stress state is meant to be only activated in dire circumstances and only very short term. Over time this sympathetic stress response creates tremendous damage to our body and brain leading to chronic and degenerative disease. Symptoms and illnesses associated with a sympathetic dominance are: fast heart rate, palpitations, arrhythmias, hypertension, high cholesterol, heart disease, high blood sugars, type 1 diabetes, poor sleep, insomnia, nervousness, fear, anxiety, panic attacks, difficulty concentrating, cold hands and feet and headaches. Sounds a bit like a laundry list of the modern ailments of today. What you may not be aware of it is the other side of the system called the parasympathetic nervous system. The parasympathetic nervous system has qualities which give us the ability to relax rest, restore, and rejuvenate the brain and body. In general it is the parasympathetic mode that allows our body and brain to heal. In a healing response the nervous system shifts from a sympathetic state to a parasympathetic mode. Also in this meditative healing state the brain waves shift from beta, to alpha and then finally to their deeply relaxed theta brain waves. Through accessing the parasympathetic mode and an increased theta brain wave state the body/mind can rebalance itself chemically, hormonally and neurologically to help initiate real healing. To assist the patient in achieving these states the clinic utilizes multiple computerized assistive technologies. One of the primary technologies utilized is HeartMath, A sophisticated form of biofeedback that helps teach you to get into the parasympathetic healing state sometimes referred to as personal coherence. Personal coherence also refers to the synchronization of your physical, mental and emotional systems. It can be measured by our heart-rhythm patterns. The more balanced and smooth they are, the more in sync, or coherent, you are. Stress levels recede, energy levels increase and our brain is working more optimally. It is a state of optimal clarity, perception and performance. HeartMath technology has been scientifically proven to help you achieve personal coherence, studies are available. A primary assistive technology utilized at the clinic to help you achieve a healing state optimal for you is the Brain Wave Audio/Visual Entrainment device (Brain AVE). Every part of your body vibrates to its own waves of rhythm. Your brain has a unique set of brain waves. In neuroscience, there are five distinct brain wave frequencies, namely Beta, Alpha, Theta and Delta. Each frequency, measured in cycles per second (Hz), has its own set of characteristics representing a specific level of brain activity and hence a unique state of consciousness. Audio-Visual Entrainment (AVE) uses flashes of lights and pulses of tones to gently and safely guide you into various brain wave patterns to boost your mood, help with sleep, sharpen your mind, increase your level of relaxation and improve healing. Beta (12-30Hz): Associated with normal waking consciousness and a heightened state of alertness, logic and critical reasoning. However, higher Beta levels translate into stress, anxiety and restlessness. The voice of Beta is the little nagging chatterbox of your inner critic, which becomes louder and more relentless the higher you go in the range. Alpha (7.5-12Hz): Present in deep relaxation with the eyes usually closed and while day-dreaming. Alpha heightens your imagination, visualization, memory, learning and concentration. Theta (4-7.5Hz): Present during deep meditation, sleep and healing. It is also known as the twilight state as it is normally only momentarily experienced as you drift off to sleep (from Alpha) and arise from deep sleep (from Delta).While in the Theta state, the mind is capable of deep and profound learning, healing, and growth. Delta (0.5-4Hz): It is the slowest and is the brain state of deep dreamless sleep and unconsciousness. Every patient therapy is individualized to their needs depending on the history, condition treated in the neurological findings on examination. For many patients the primary goal is to help them achieve the parasympathetic state along with increased theta brain waves, thus allowing them to enhance healing. Brain Wave Entrainment Therapy not only enhances the state of healing but also improves sleep, blood pressure, and reduces anxiety and tension. Cranio-Electro Stimulation (CES) is also utilized along with the Brain Wave Entrainment Therapy. CES was developed in the Soviet Union in the late 1940s as a treatment for insomnia and has since been used by millions of people all over the world. Most research over the past 25 years has shown that CES reduces anxiety and improves sleep. A CES device sends tiny impulses to the CNS through a stimulation cable attached to the earlobe. CES is an effective non-drug approach to relieve discomfort, assist with sleeping and calming of the mind. CES has been shown to increase serotonin and endorphins. Although individual levels of improvement may vary, medical research reveals dramatic improvements in mental functioning including, relaxation, improved memory, mental clarity, mood elevation, sound sleep and increased concentration. Based on your comprehensive neurological examination Dr. Greg Fors will also design specific brain exercises for you to do at home on a daily basis. These specific brain exercises will be designed to strengthen specific areas your brain found to be weakened or not functioning optimally. These exercises may seem simple but have profound effects on brain health and body function when completed on a consistent basis. These brain exercises along with the nutritional support provided by Dr. Fors metabolic programs is a cornerstone of your healing program to optimize brain and body function. If you have any questions about the specifics of these brain-based exercises please make sure you discuss them with Dr. Greg Fors.